Bob Fosse’s shrewd satire of crime as entertainment makes a stunning transition from the stage to the multiplex in a big-screen version overflowing with razzle-dazzle. Director-choreographer Rob Marshall doesn’t attempt to reinvent the movie-musical genre; instead, he wisely allows the cunning story and sizzling score to thrill viewers. 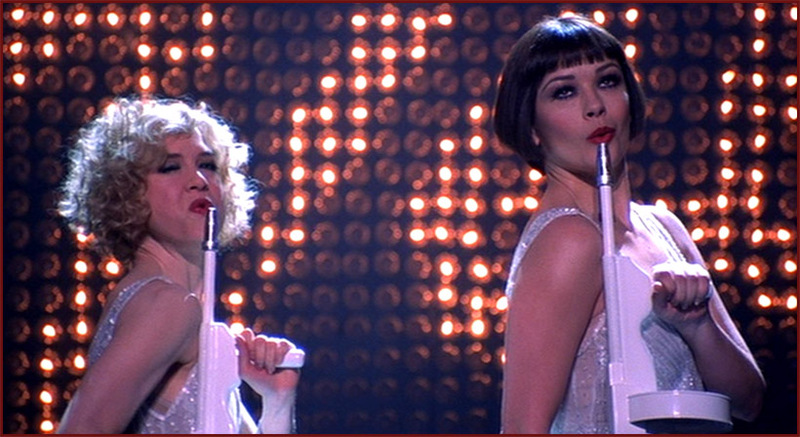 When mousy chorine Roxy (Renee Zellweger) lands in the slammer for killing her boyfriend, she sees an opportunity to finally make it as a vaudeville star, much to the chagrin of the reigning cellblock celebrity, Velma (Catherine Zeta Jones). The breathtaking musical numbers, which take place in Roxy’s imagination, seamlessly juxtapose the stark reality of prison life with the vivid theatricality of Prohibition-era jazz halls. 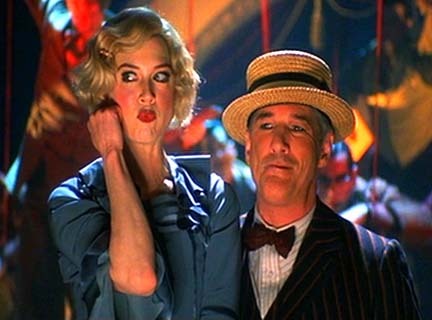 Both leading ladies deliver outstanding performances, but, with a deliciously smarmy turn as sleazy lawyer Billy Flynn, it’s Richard Gere who repeatedly stops the show.